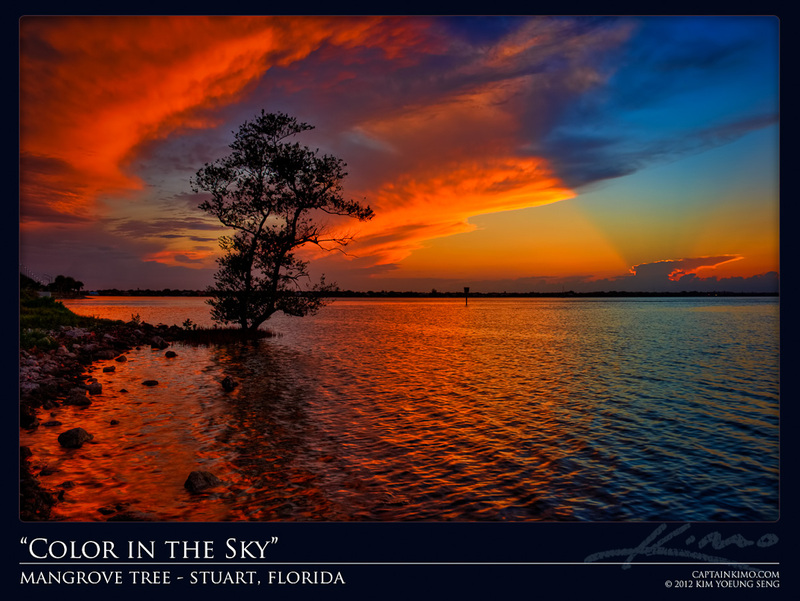 This evening I made a quick dash to Stuart to catch the sunset. I was hoping to get the sun before it dipped below the clouds but I was too late. However I still managed to get some amazing colors this evening after the sunset. This was shot with my Canon Rebel XT, a 8mp camera that keeps blowing my mind. This was my first DSLR camera that I bought a long time ago, but never did any HDR with it. Right now I’m just fooling around because I plan on taking something similar with me to Thailand. I don’t feel like lugging around my 5D MK2 because it’s heavy and expensive. The last thing I want is 6K worth of equipment stolen or damaged. I figured it’s probably best to get a $600 setup that can do a reasonable job and easy to carry around. If all my shots come out like this, or better, from my new Canon Rebel T3, then I am going to be a happy Thai tourist!